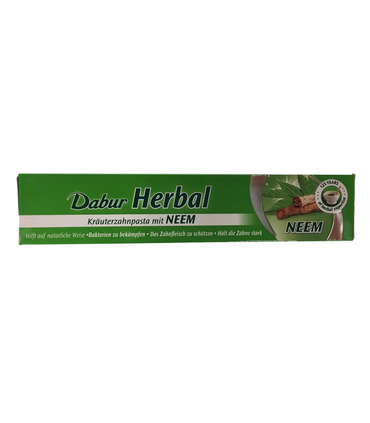 Dabur Neem Toothpaste contains Neem leaf extracts and Ayurvedic herbs providing complete natural oral hygiene. Neem leaves are known for their anti-bacterial, anti-fungal, antiseptic and anti-inflammatory actions. This toothpaste is considered good for inflamed or bleeding gums. 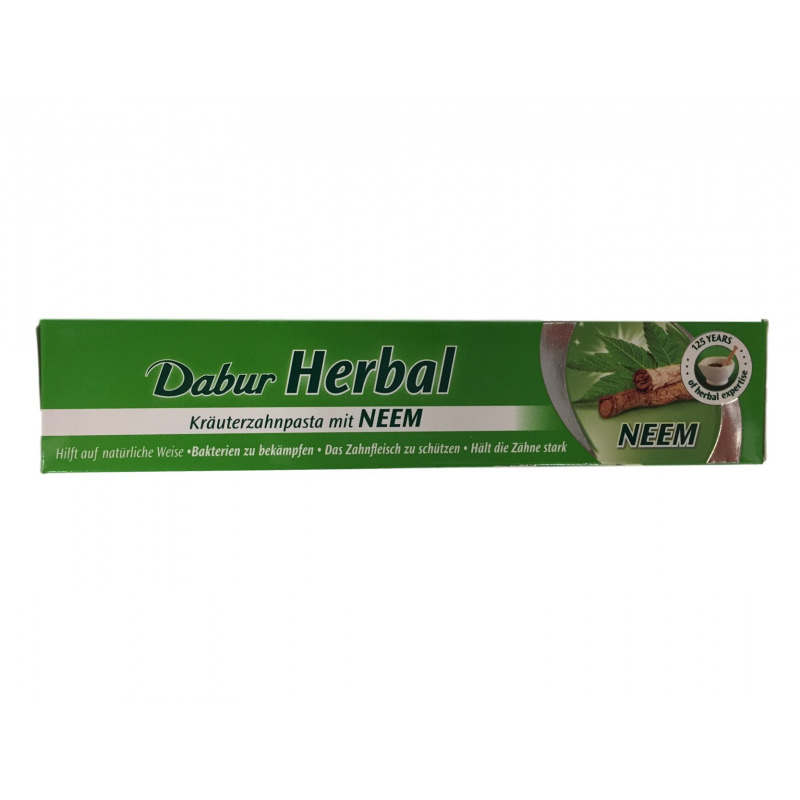 It contains ingredients like neem, jamun bark, calcium carbonate, acacia, lotur bark etc. 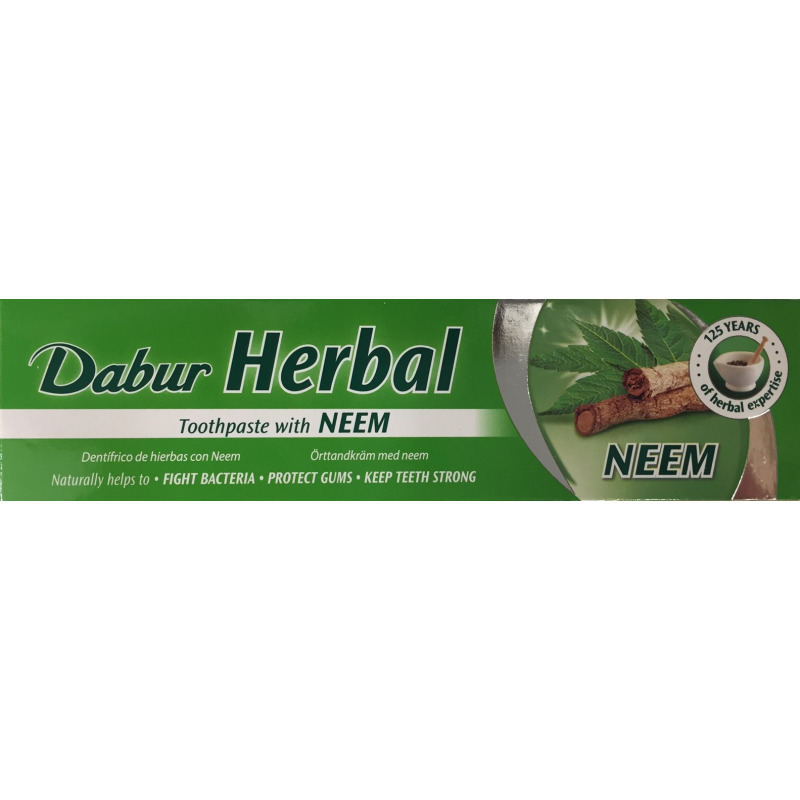 Dabur Neem Toothpaste contains Neem leaf extracts and Ayurvedic herbs providing complete natural oral hygiene. Neem leaves are known for their anti-bacterial, anti-fungal, antiseptic and anti-inflammatory actions. 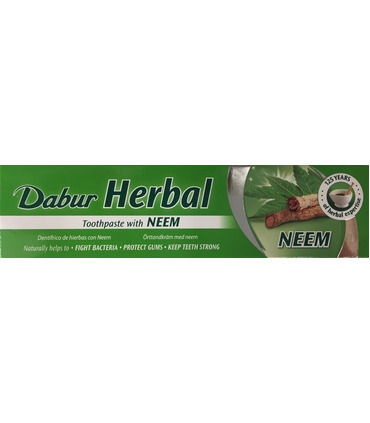 This toothpaste is considered good for inflamed or bleeding gums. It contains ingredients like neem, jamun bark, calcium carbonate, acacia, lotur bark etc.